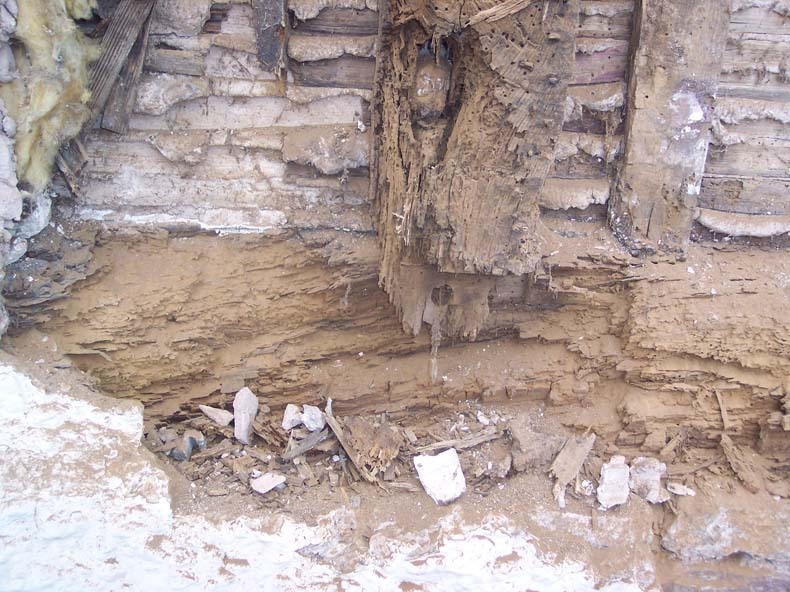 Death Watch Beetle causes severe structural damage to hardwood timbers usually where some form of decay is present. 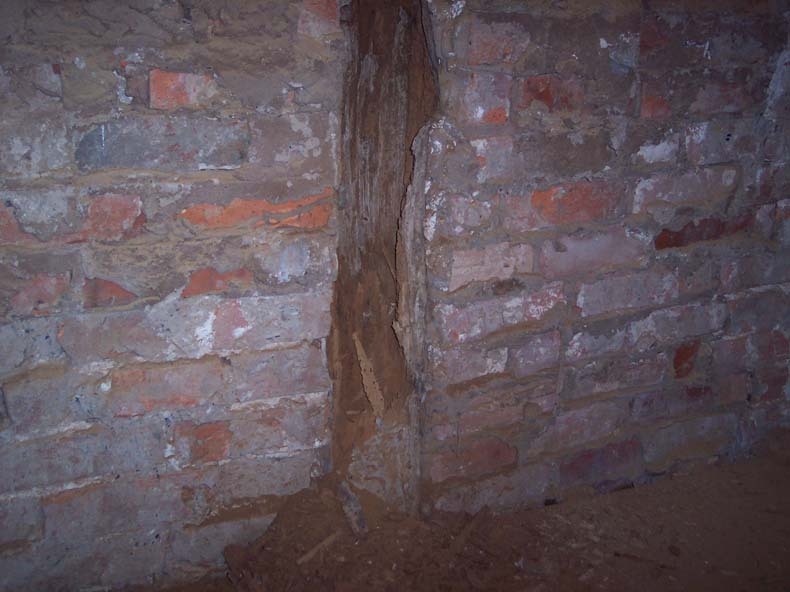 Occasionally only one or two holes can be seen, but under the surface the timber can be literally eaten to destruction. 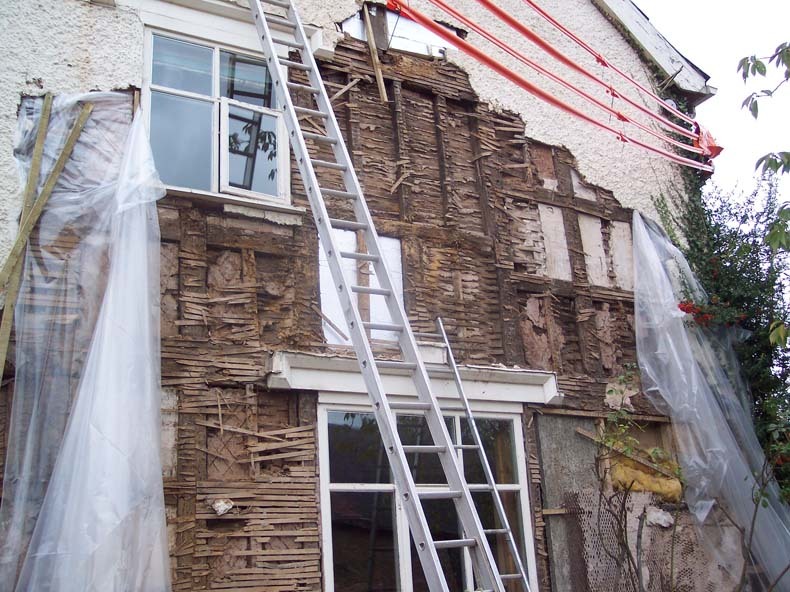 This ancient manor house had severe problems with the external timber frame and some internal structural timbers so severely damaged that replacement of many was the only option.